As I've mentioned from my previous post, Deary and I went to Bintan, Indonesia last 2 weeks ago to spend the long weekend. 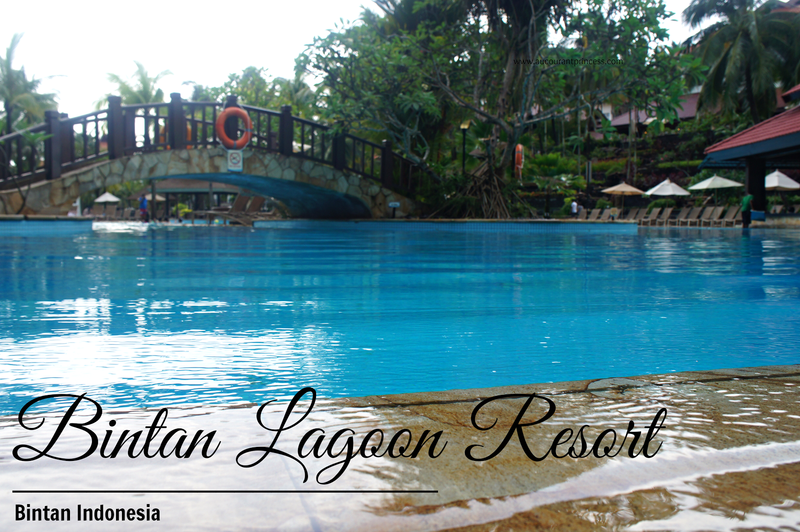 We stayed at Bintan Lagoon Resort for 2 days and 1 night. 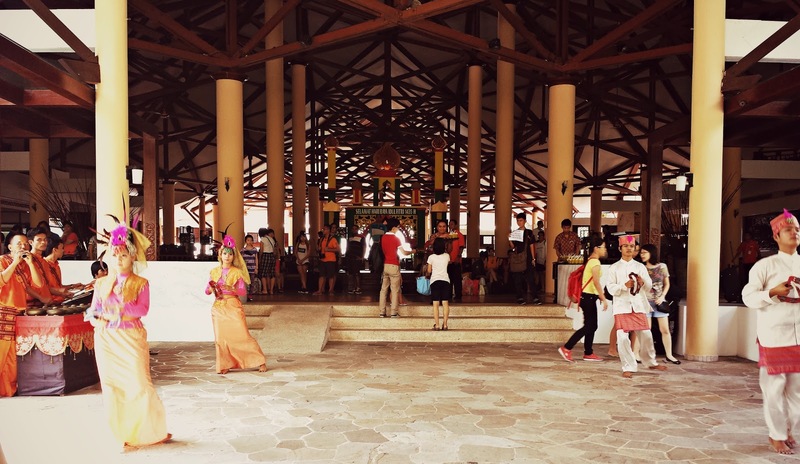 The resort boasts of it's own ferry terminal as well as it's own immigration office inside the resort. 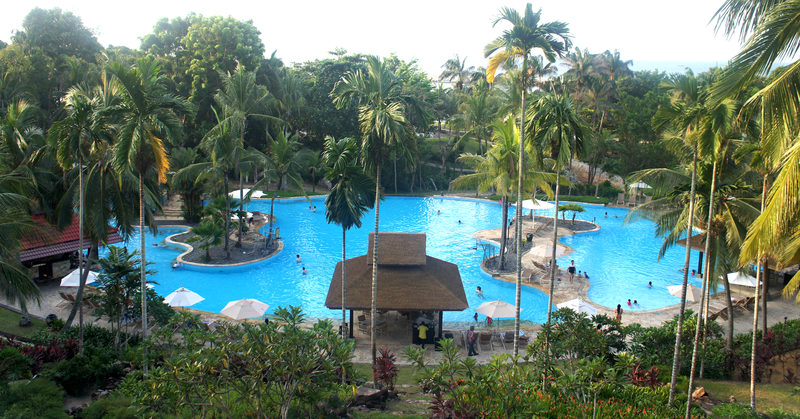 When we arrived, me and my husband were both surprised with regards to how vast the resort vicinity is. After alighting the shuttle from the immigration office, we were greeted by the welcome dancers and handed a glass of refreshment at the resort's lobby reception (which I think is the biggest I've been in so far). After check in we hurriedly went to our room to unload our bags. From the lobby it took us several hallways to reach our room. It's so polite of Mr. Elephant to welcome us to our room. What do you think of our balcony view overlooking the South China Sea? It's beautiful, isn't it? Our room has a huge sofa bed near the window. I was eager to lounge myself there when I saw the stain on the sofa bed. :( Spot it out at the photo below if you can. We didn't waste much of our time inside the room so we headed straight to the beach. I was hoping to do some water sport activities but then we both decided to lounge and laze around the beach instead. Last photo shows how the beach looks at night. After lazing around the beach front we finally got hungry. So we headed to the Rice Restaurant. How I wish waiters could just roam around while we were lounging to get our orders. But I think this kind of service is impossible with a 1.5 kilometers beach front. 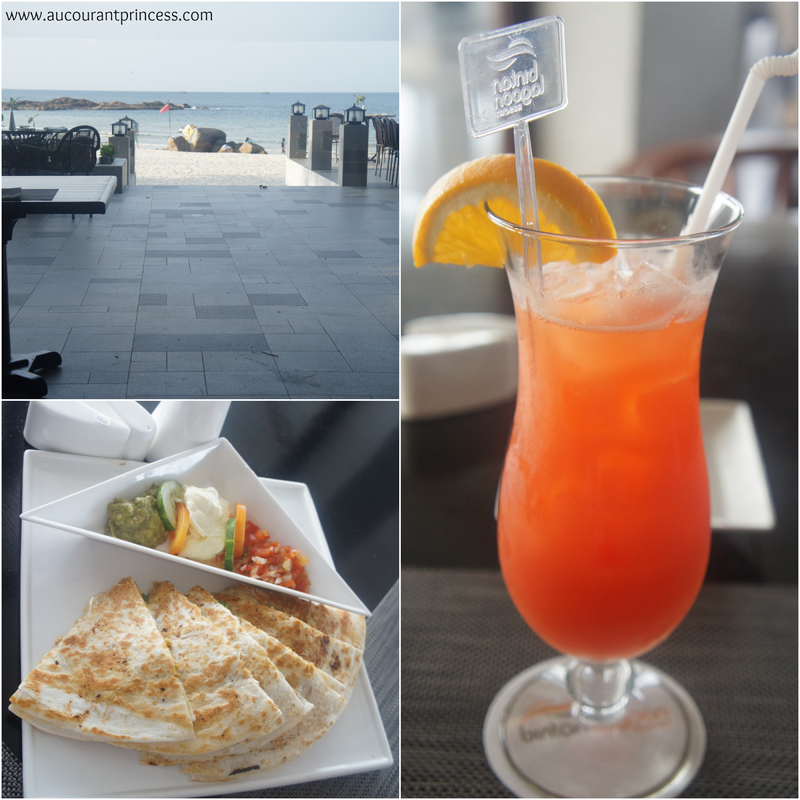 At the restaurant we ordered chicken quesadilla and tropical mocktails. 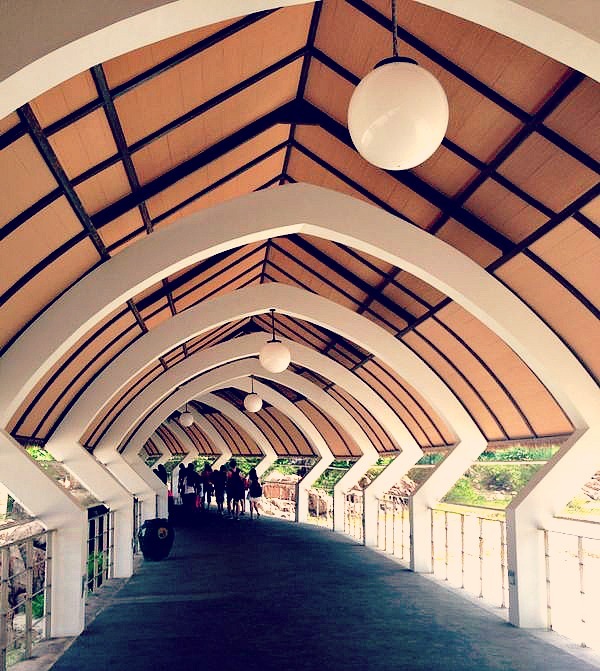 After making our tummies happy we decided to roam around and check out some of the resort's facilities. Then we headed back to our room and prepared ourselves for the night swimming afterwards. I really enjoyed the swimming at the resort. For me, this is the highlight of our holiday to Bintan Lagoon Resort. There's a poolside bar at the pool in the event you get hungry or thirsty while swimming. 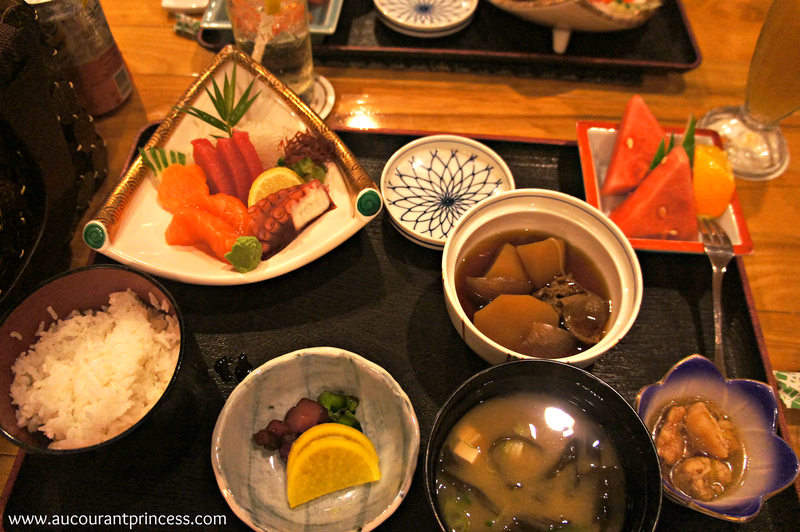 For dinner we tried the resorts Japanese restaurant. The food was okay but quite expensive. We paid $85.91 for 2 persons. The dinner was not buffet style. Food serve is base on order. As if that dinner price is not enough to discourage us from making more orders, we still went for drinks at the Terrace Lounge. We'll I still don't want to get to bed early. Ahahah! And I've never been to a pub. I think the one at the resort is a safer venue. The next day breakfast was served at Kopi O and Orzo Restaurant located just a step below the lobby. It was a buffet style breakfast. There was heavy raining and strong winds during breakfast time. I was kind of thinking if our ferry schedule that day would be cancelled. Good thing, Mr. Sun came out just before noontime. After the heavy rain, Deary and I went swimming at the pool again for the last time before heading back home to Singapore. And so our vacation ends. It was a quick one but I was happy to be making many beautiful memories with my husband. And many more to come. 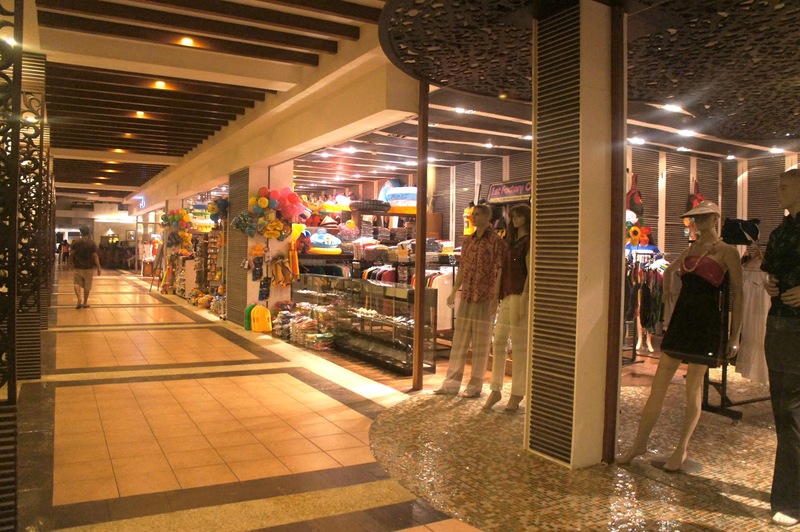 If you're into buying souvenirs or perhaps you've forgotten to bring your swimwear, don't fret because several shops can be found inside the resort. 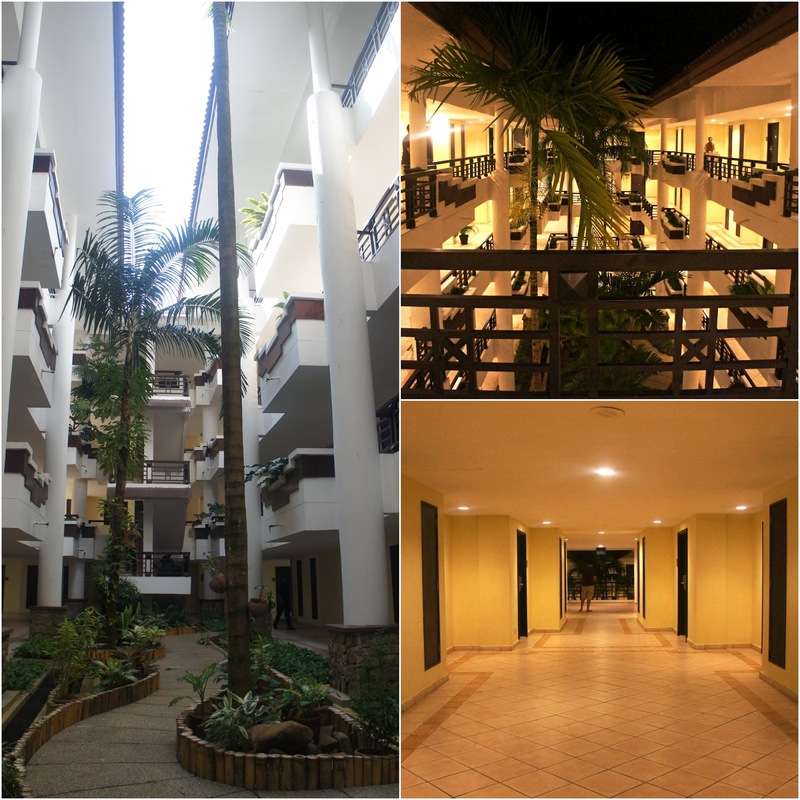 Here are photos of the hallways leading to our room. Bintan Lagoon Resort's vicinity is quite huge. There are lots of fun activities to choose from during the day so you'll never get bored during your stay. Food at the resort is expensive. You can bring along snacks and food items from Singapore to cut costs. You know, when you're in a resort it's a given that you'd be spending more than what is offered outside. I love the ocean view overlooking our balcony. 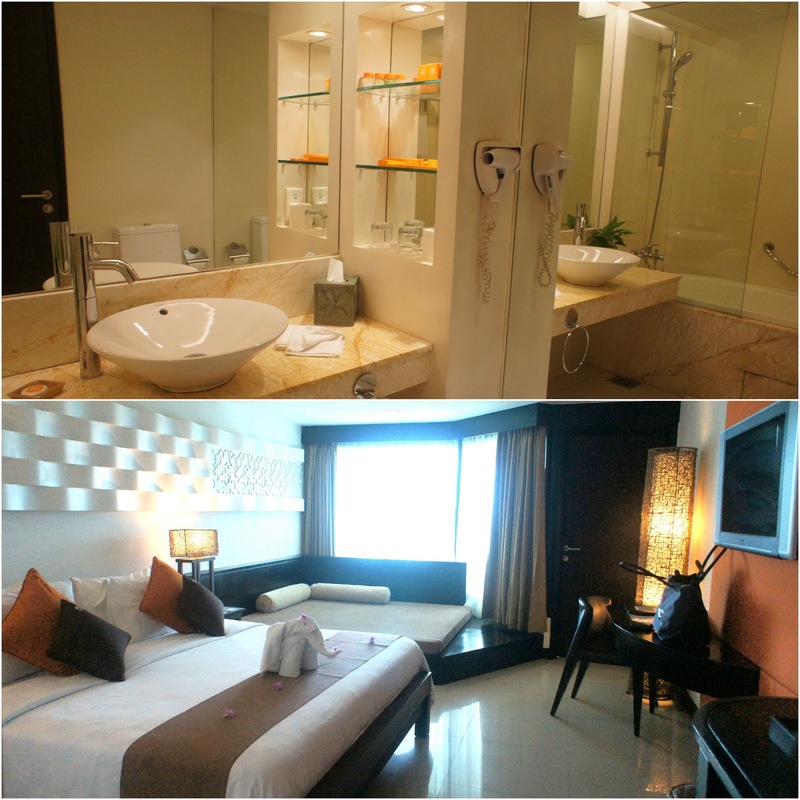 Our room was neatly groomed except for the sofa bed which has some stains on it. I also find the hallways to our room quiet dark and gloomy during daytime however this is not the case in the evenings as all the lights in the hallways shine bright. It can also get pretty quiet on most of the resort areas during the evenings too. I only find the lobby with some things going on during this time. Just lounge on lobby or have some drinks at the Terrace Lounge. 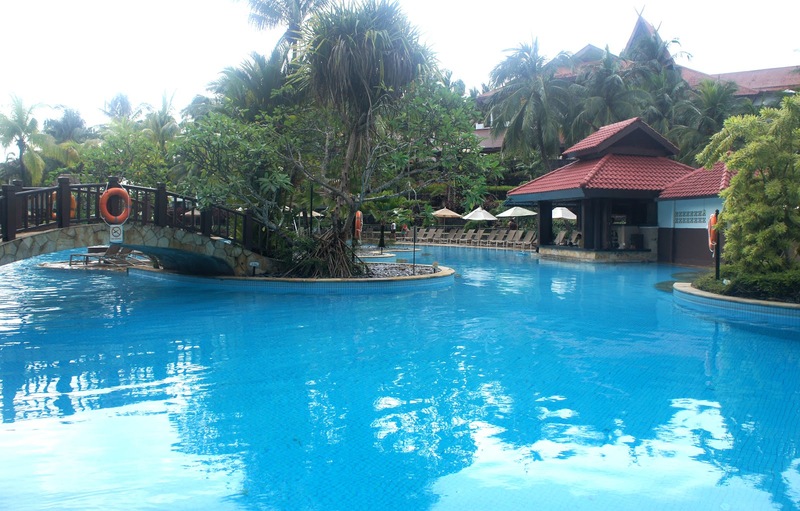 But overall Bintan Lagoon Resort is a good choice especially when you're going for a quick weekend getaway.